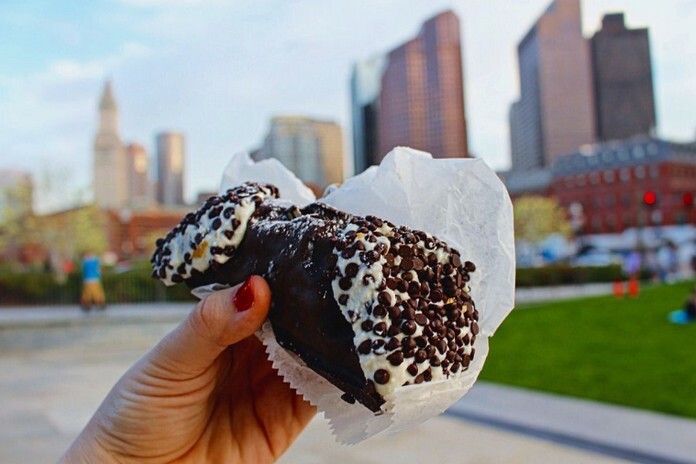 Cannoli are part of Sicily’s ancient tradition of pastry and dessert making. 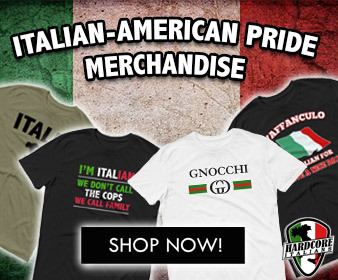 Sicilians buy their cannoli at the local bakery, but they are so delicious it is worth trying to make them at home, though you will require cannoli tubes to shape them. In a large bowl, rub the butter into the flour, add the cocoa powder, sugar, salt, and marsala. Knead the pastry for about 15 minutes, adding more wine if necessary until it is smooth and elastic like a pasta dough. Roll out the pastry as thinly as possible. Using a saucer and knife, cut the pastry into rounds. 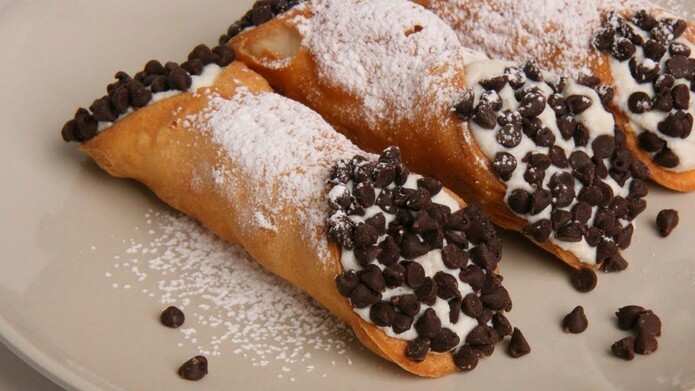 Put each around a cannoli tube and seal the edges with a little water. In a large saucepan, heat 2-3 inches oil and when ready, fry the cannoli until dark brown, 1-2 min. Drain on paper towels and when cool, slide them off their tubes. Combine the ricotta cheese, sugar, and vanilla extract in a bowl and blend until smooth. Stir in the chocolate chips and the orange or lemon candied peel. 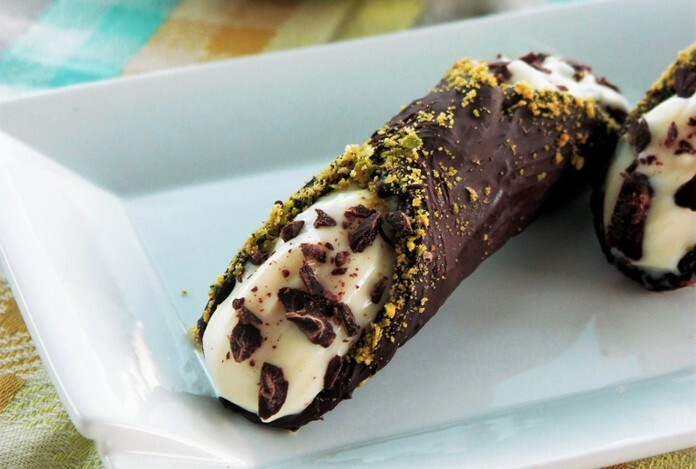 Stuff the cannoli with the ricotta mixture, or using a pastry bag fitted with a large straight or star tip; pipe the ricotta mixture into the cannoli shells.